Check out this interesting vintage snake illustration. 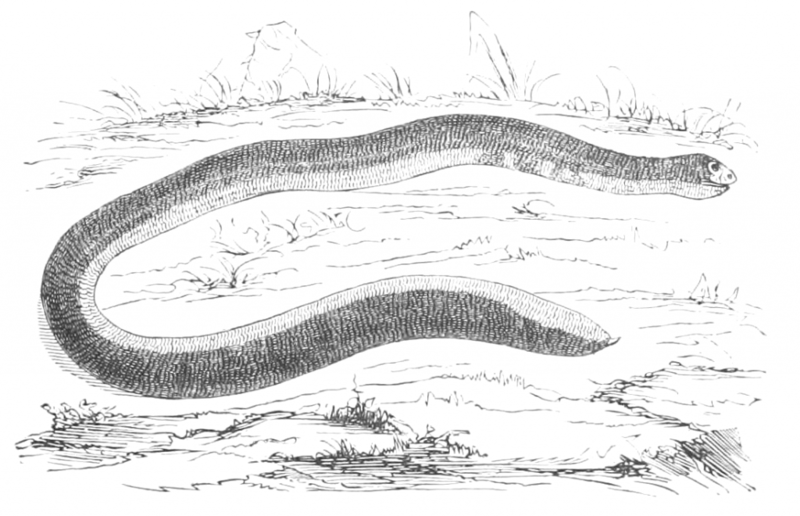 A shield tail snake drawing from 1856. Look at his tail. It doesn’t come to a point like most snakes, it’s more blunt. While I believe I’ve got this fellow named properly, the original source is in French and a lot of names have changed since 1856. Encyclopedie d’histoire naturelle is the most famous of all the works of Jean-Charles Chenu (1808-1879). Chenu was a French physician and naturalist. It makes sense that this shield tail snake drawing shows him on the ground. These nonvenomous snakes prefer their subterranean burrows than out in the open. They are curious snakes. Rather than strike or bite when threatened, they curl up into a ball around their head and defend themselves with their tail. Not a particularly effective weapon, but, it must work or they would be all gone by now I suppose. They dine primarily on earthworms. Like this shield tail snake drawing? I’ve got good news for you then. There’s an even larger version available. Just click on the one you see here to access it.